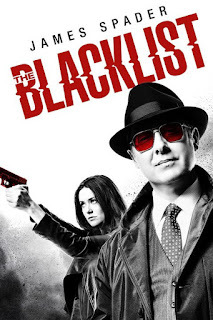 I watched The Blacklist based solely on a friend’s recommendation and loved it. I loved the idea of the show. I loved its energy and its gangbusters pacing. I loved the sheer ridiculous pulpiness of it and how the show wasn’t afraid to just be what it was, a whole lot of fun. I loved that it teased big things to come, big reveals, and even more excitement. And so much of the awesome of that first season was carried on the shoulders of the magnetic James Spader. I devoured the first season as soon as the episodes were added to Hulu. Sure, there was a few stumbling blocks. The first nine episodes, bookended by two Joe Carnahan contributions, were the strongest. The supporting cast was pretty forgettable. And despite being a main character, Liz Keen spends most of that season clueless and manipulated by one man or the other. But it was so much fun and held so much promise, that it was one of the few shows I looked forward to every week. Second Two is pretty underwhelming. If it’s any indication how underwhelming, after watching the first couple of episodes, I put off watching any more until 3 or 4 new episodes were available on Hulu. Not because I wanted to binge, but because I had other things I’d rather watch instead and so many of the episodes were forgettable. In fact, I didn’t even finish the season until it got added to Netflix. The season’s biggest misstep was their use of Spader. He seemed absent this time around. And when he was there, the writers were fond of simply giving him a soliloquy and couple of monologues to deliver with his head tilted to the side. The Blacklist is Red. And Red is The Blacklist. Without his dynamic presence looming and looming large, the show lacks most of its magic. Trimming some of the supporting character dead weight was a great idea. (Though I’m still not sure what Red gets out of the FBI Task Force other than being close to Liz). Making Liz an active and engaged character was also a great idea. If Red is that interested in her and she’s as important as she is, then she really shouldn’t be clueless and toyed with by man after man. Unfortunately, the writers mucked it up by bringing Tom back. The whole thing with Liz keeping Tom prisoner was ridiculous considering how closely she’s watched, especially by Red. I always hate when a show, any show, goes out of their way to establish what badass things a character can do, then suddenly when it's inconvenient to the plot, the character becomes incapable of it. Red should have known where Tom was and what was going on. Actually, the entirety of the Liz / Tom thing was tiring and undercut their attempt to give her agency. Whenever that part of the plot got air time, I’d get up to do something else. Honestly, though, two of my biggest disappointments were the big reveals with The Fulcrum and the completely generically-named The Cabal. First, let me say, I get it. Doing a show with big overarching plot questions, especially a network show, is hard. 22 episodes necessitates filler. You have to be careful how you dole out your answers. Take too long and people either stop caring or you risk the payoff fizzling after all that wait (*cough* the fate of Fox Mulder’s sister *cough*); answer them too soon and you’ve tossed most of your tension and mystery out the window before getting started. However, all that being said, I was really expecting something big and instead ended up with generic thriller stuff: blackmail and a group of powerful men who want to profit off a war...?!?! It’s blackmail? With a name like The Fulcrum, it’s not some super sci-fi weapon? Or maybe a futuristic biological agent? It’s just blackmail? A group of the most powerful men in the world fear and cower before Red for run-of-the-mill blackmail? And it’s not even earth-shattering blackmail like…I don’t know, proof the CIA killed Kennedy or 9/11 was a false-flag operation, or even something crazy and fun like the grey aliens have been running the New World Order government since Roswell. It’s just generic blackmail? And the Cabal is just a group of shady politicians and rich guys? It’s not an elite coalition of warmongers in the US Government with a ninja kill squad or a secret group of former intelligence officers from both sides of the Cold War or even one super rich family who have secretly manipulated the world for centuries? And it’s not something fun like the Illuminati or a mystical conspiracy of Freemasons or the 7 Secret Masters or our benevolent Lizard Overlords? No? Just blackmail and some bad guys. Well...meh. Honestly, Liz shooting Tom Connolly and going on the run with Red was the single saving grace of this season. I really hope the bulk, if not all, of next season is Liz and Red on the run and it’s not one of those BIG endings designed so you tune in next season only to watch it get resolved by the end of episode one, then we go back to the same thing with Red and Liz and the task force.